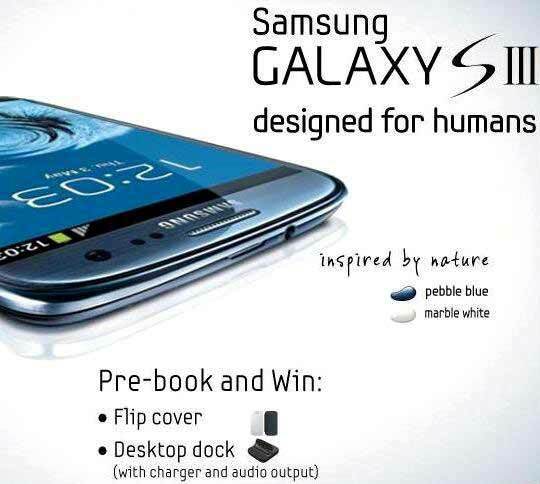 Samsung promised hat they will push Samsung Galaxy S III on every countries of the world as soon as possible. Bangladesh is not an exception. Samsung already starts pre-ordering Galaxy S III in Bangladesh for 67,500 taka. It’s close to $820 USD. It’s quite normal in Bangladesh due to higher tax value. If you book your copy now then you have a chance to win a flip cover and desktop dock with charger and audio output. It’s a nice offering if you hate the initial pricing. Interested one can visit Facebook page of Samsung Bangladesh now considering you have enough balance left on your wallet.